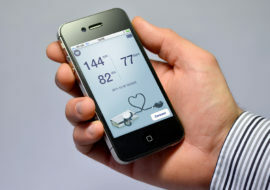 Medical equipment planning as a service has transformed markedly since its conception. From the early beginnings of one or two individuals developing a simple list categorizing and naming user-selected medical equipment, successful planning is now a dynamic process involving an entire team, typically comprising clinicians, architects and project managers. 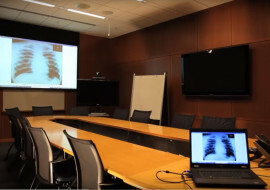 The evolution of medical equipment planning has coincided with the ongoing desire of healthcare institutions to have the most state-of-the-art technology in their facilities. 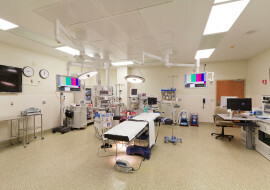 A strong medical equipment planning team is key to a successful project outcome, ensuring the future proofing of the facility as well as to mitigate risk and ensure that capital expenditures are handled wisely. 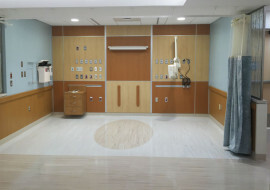 Similar to the architectural design process, medical equipment planning tends to have a handful of significant milestones during the health facility construction process. First among these typically is preliminary budgeting for financial approvals or certificate of need. A second notable milestone, or series of milestones, are the document submissions associated with the design process (e.g., end of schematic design, end of design development). The development of the medical equipment list should advance in lock step with the architectural and engineering design phases, and at each submission point should be available for issuance to the appropriate parties. The medical equipment planner serves as an objective and well-informed voice outside of the healthcare facility’s operational staff. 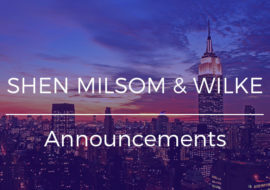 Wielding their expertise and knowledge as a client advocate, they are able to shepherd the decision-making process through to conclusion without bias or influence other than what is best for the client and project. 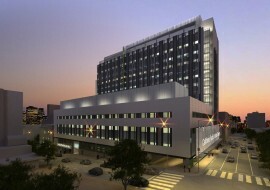 Building information modeling (BIM) is now utilized on almost every healthcare project currently in design. 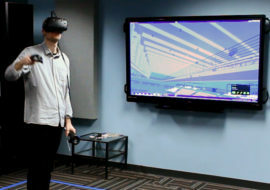 As designers, planners and clients are still identifying roles and responsibilities in projects utilizing BIM, the overall project model now requires a new way of creating, updating and maintaining the equipment list. 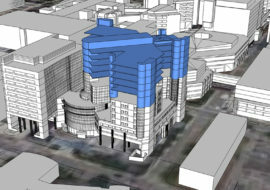 BIM enables the entire team to understand the impact changes from one manufacturer and model to another without tremendous loss of time or efficiency. The third major milestone involves client approval and sign-off of medical equipment lists and plans. This is a vital point for a number of reasons.Sign-offs documents the final selections on medical equipment during the design phases. 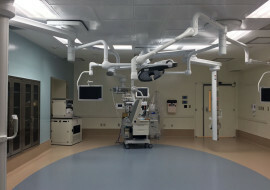 Having the client sign off on the lists can also serve to limit conflict over the selections of medical equipment at later points in the project. Because the sign-offs are typically conducted in an open forum with all parties present, the process has a measure of transparency that can mitigate “political” issues that would otherwise crop up. Later in the project, there are a series of somewhat smaller milestones involving the selection and purchase of medical equipment with significant installation and utilities requirements. These items are traditionally identified as Group 1, categorized as fixed equipment such as imaging systems, or Group 2, which is comprised of non-fixed equipment with complex utilities requirements. 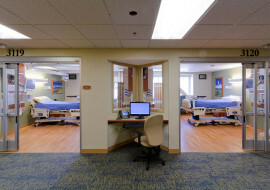 The vast majority of equipment in those groups have substantial utilities and installation requirements that impact the design and engineering of a healthcare facility. In addition, they also require considerable lead times from execution of a purchase order until delivery to the project site (e.g., 180 days for an MRI scanning system, etc.). 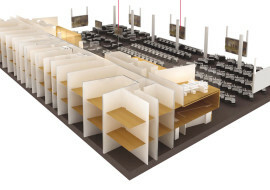 This time is required for the manufacturer to finalize options, develop site specific, or “shop” drawings, specifications, and commence production. 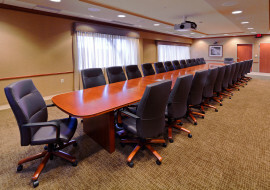 Changes to equipment once these activities have started can have devastating results to the project’s budget and schedule. While a healthcare facility may wish to hold out for the latest technology from a vendor, decisions on major medical equipment selection cannot be delayed without impact to the schedule. 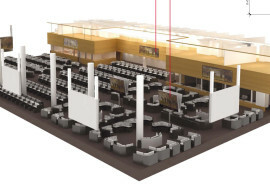 In many instances the space and utilities are driven by a specific manufacturer’s installation and technical requirements. 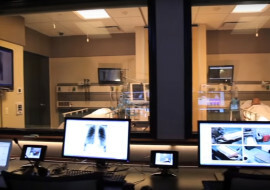 All too often, health care facilities put off equipment selection while they negotiate pricing or attempt to wait for the next technology advances. 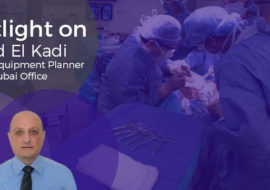 It is imperative that the medical equipment planner clearly and concisely outlines to the project team the challenges of delaying or changing decisions (e.g., change orders, schedule delays, increased costs of acquisition) associated with Group 1 and 2 equipment. Communication is vital among all team members as the project progresses. 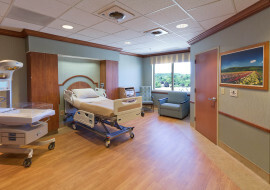 It ensures everyone has the most complete information regarding medical equipment in the project, and can mitigate or avoid costly problems in construction. Except for sensitive issues as noted by project administration, such as project budget status, communication should be as transparent as possible. 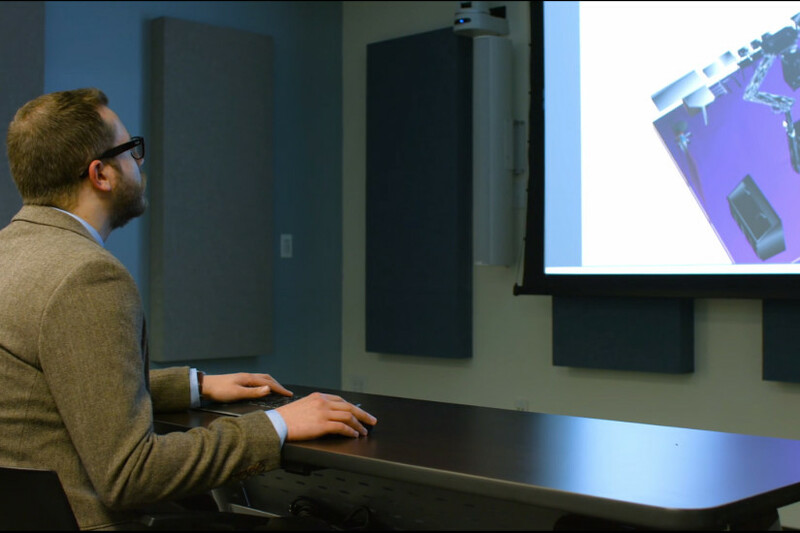 This can diffuse issues that arise from rivalries between departments or clinicians, and greatly reduce misunderstandings regarding project goals and decisions. Strong project management with a clear vision can make a tremendous difference in a project, particularly where physician preferences intersect with medical equipment selections. While the medical equipment planner can guide particularly difficult decisions on healthcare technology, the project management team must be the final arbiter of those decisions. The “wish list” mind-set is an ever-present problem with medical equipment planning. A weak project manager will find it difficult to contain the pressure from clinicians with strong opinions on vendors and models to include nice to have, but not always relevant equipment. One good way to manage this problem is by having the medical equipment planner incorporate a healthcare organization’s equipment standards, group purchasing organization contract items and other pre-identified models and manufacturers. This can accelerate the process of planning, and remove potential issues regarding clinician preferences when they are at odds with the overall organization’s procurement philosophy. 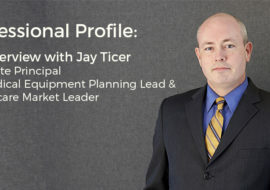 Forward-thinking review and analysis of the equipment list goes a long way to helping create a successful medical equipment planning engagement. This important, but often overlooked, process offers an opportunity to capitalize on changes in technology, strategic vision by the health care organization or in the medical equipment marketplace. However, new technology and equipment should be studied objectively and rationally before being included in a project — especially a renovation project. The risk of technology or equipment disrupting the operational processes of clinicians, is always present. In some cases, it may be prudent to decide against adding a new technology if infrastructure requirements or associated operational activities would incur additional costs, or delay the project schedule. 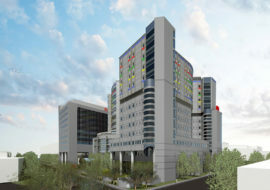 It may be possible to make some adjustments to the design and engineering of a project to incorporate that technology or equipment at a point after the new facility opens (e.g., including conduit runs for operating room integration, but delaying purchase of the system itself). The true benefit of medical equipment planning over the long term is having a healthcare facility that is not only prepared to provide patient care aligned with the client’s strategic vision from the first day of operation, but flexible enough to do so years afterwards. 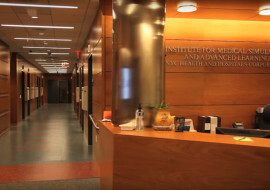 By utilizing a well-experienced medical equipment planning firm, the client will be able to develop healthcare facilities that are forward-thinking, and based on rational and objective decision-making where medical equipment technology is concerned. 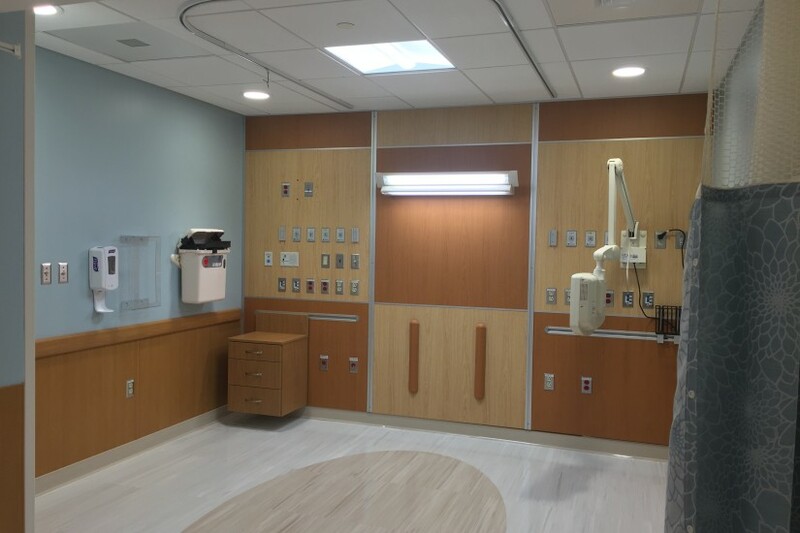 Given the ever-changing landscape of healthcare, there is a risk of including new and emerging medical equipment technology in a project when it may not be appropriate for the vision of patient care in a new facility. 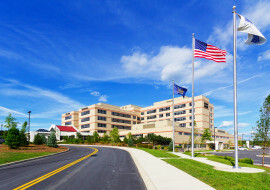 This can represent a tremendous capital cost that may have been expended needlessly, for selecting the wrong equipment – no matter how new or state-of-the-art — poorly serves a facility’s clinical, operational and financial goals. 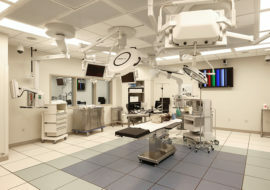 One example would be the use of surgical robotics in the operating room. The cost for such systems is quite high (e.g., $1.8M USD for a currently available system in the US), but the clinical indications for use are somewhat limited. Additionally, some of the companies selling surgical robotics systems are quite adept at convincing surgeons to be strong advocates for their products, in spite of these issues. A well-experienced and knowledgeable medical equipment planner can assist healthcare organizations in navigating the issues related to this kind of medical equipment technology, and assist them in making informed and reasoned decisions on whether or not it makes sense to include in a particular project. 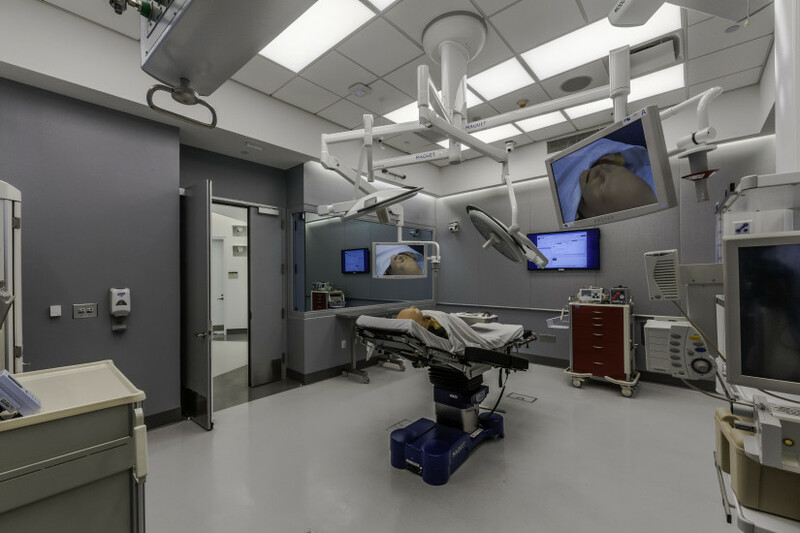 Medical equipment planning can greatly increase the likelihood of a project meeting the owners’ vision of patient care in their new facility. Unfortunately, many facility professionals who have never utilized a medical equipment planning consultant feel it’s a luxury. 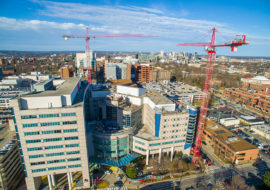 Typically, it takes only one large project (and the myriad details surrounding medical equipment) that goes over budget or is delayed to change that view. 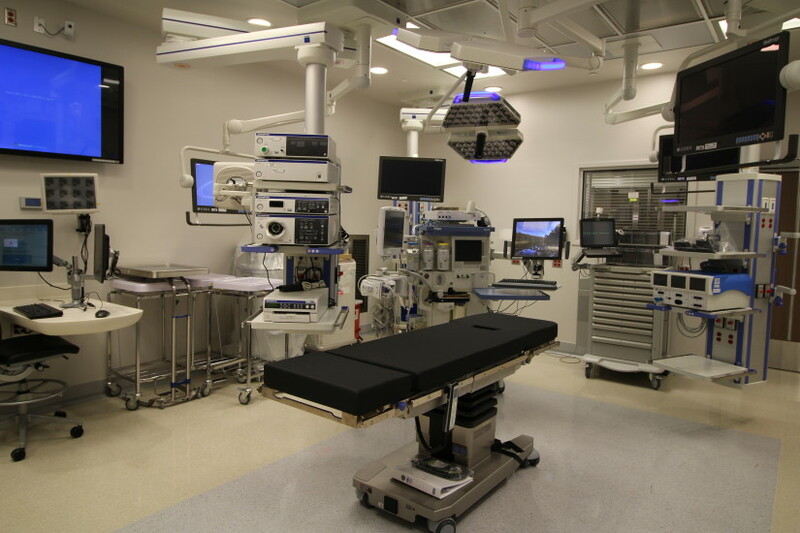 Good medical equipment planning adjusts to the healthcare facility’s vision of the project, while steering them through the issues of health care technology, equipment infrastructure requirements and procurement tasks. 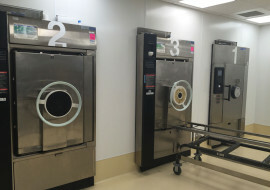 The equipment selected for a new facility helps drive the team members’ mission and goals while navigating the always-present challenges inherent in any project.